The information provided here shows the result of the safety seat with isofix installation. This review represents the installation with isofix base but it can also be installed with seat belt. GB Idan is a very safe and lightweight seat with its 4.9 kg, but you have to make sure of some basic things while using it, e.g. folding out the side impact protection – resulting in a bit increased incorrect usage. It can also be used as a carrier and a travel system on several buggies and strollers (e.g. Cybex, gb) with an adapter, and also without an adapter on gb Maris. 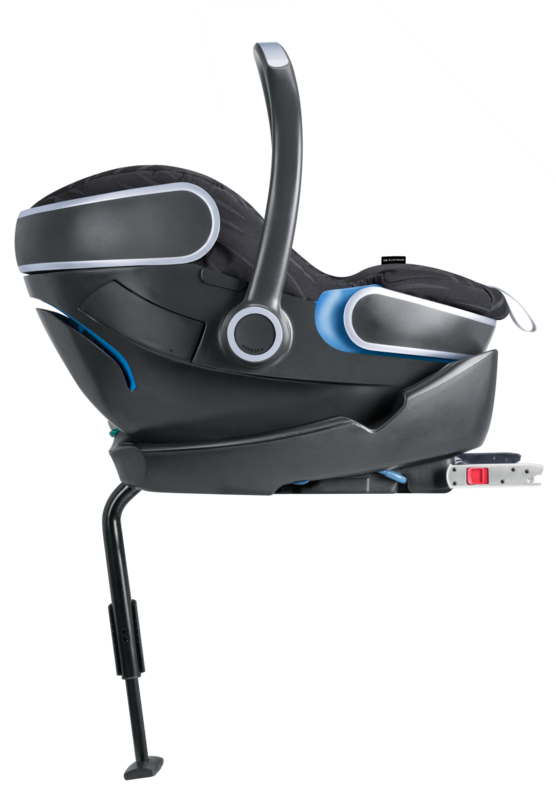 The seat can be used both with seat belt and isofix – a very good option if you want to have an isofix seat but need the flexibility and possibility to use it with a seat belt once in a while. A central adjuster helps to adapt the size and height of the harness and headrest. 11 different height positions are available. The integrated Linear Side-impact Protection (L.S.P. System) protects the baby from a possible side impact by reducing the energy together with the energy absorbing shell. All you have to do is to open the side impact protection on the side of the seat that is closer to the door. Extra big and integrated sun canopy with UPF50+ protects the baby from the sun and wind. The seat includes a softly padded newborn insert for an almost lie-flat position that can be removed as the baby grows. The function is to keep the head-neck-chest line in a flat position to prevent the baby’s head from falling forward causing serious breathing problems. Using it together with the base makes the installation easier and the journey safer by having a one-click technology with red-green indicator to show if the seat is installed properly. Additionally, you can buy a footmuff, rain and summer cover and insect net. Isofix guides matching with the gb Idan seat are also available. When the car seat is installed on the front passenger seat, you must switch off the front passenger airbag. I hope you liked this review of the gb Idan seat and Base Fix isofix, and if you have any question or want to leave your own personal experience, leave a comment below.